What does Yeshua mean by these statements? What is he trying to say? Many times turning to other Jewish writings can help us uncover the deeper meaning behind the Apostolic record, especially Yeshua’s teachings. In this instance, the midrash helps to illuminate the implications behind Yeshua’s words. What is the meaning of “in your light we see light” (Isaiah 60:1)? For what light is Israel waiting? This is the light of Messiah as it says, “And God saw the light that it was good” (Genesis 1:4). This teaches us that the Holy One, blessed be He, observed Messiah and his deeds before the creation of the world and concealed His Messiah under His throne until his generation.” (Pesikta Rabbati 36). 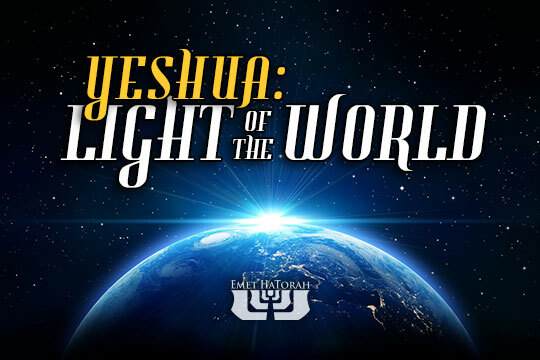 One day, however, the fullness of his light will radiate throughout the earth as he sits upon his throne in Jerusalem to reign over all the peoples of the world. May it be soon and in our day.